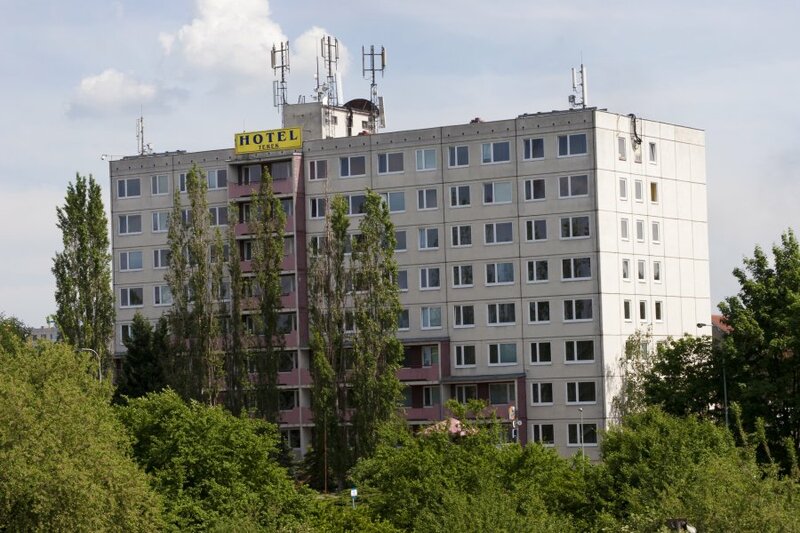 The TEREK Hotel is on the outskirts of the town of Štětí, near the Labe River. Štětí is near the D8 Praha – Teplice – Drážďany – Berlín highway, which gives a fast connection to Prague (40 min). The TEREK Hotel offers 1 – 3 bed rooms with bathroom, fridge and TV. For less demanding clients we can provide cheaper accommodation in a hotel-type dormitory. Except for hotel services the hotel can also provide long-term accommodation for private individuals and companies at attractive prices. The TEREK Hotel has its own parking sites and non-stop reception service. We also have a meeting room for rent (flipchart and projecting screen).